We offer a complete hire, repair, refurbish, breakdown, maintenance and management service to keep your fleet on the road. 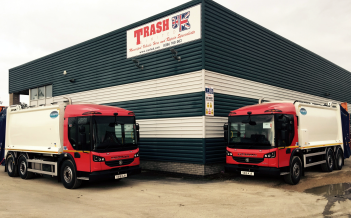 We’ve been going for over 15 years and our team has over 100 years combined experience handling all makes and models of refuse vehicles. There’s not much we don’t know about dust-carts! Based in Evesham in the Midlands, with our own dedicated workshop and a team of mobile engineers, we can respond quickly anywhere in the UK. We hope you like our website (feedback always welcome! ), which is regularly updated with the latest vehicles we have available, to hire and to purchase, plus information about our other services.